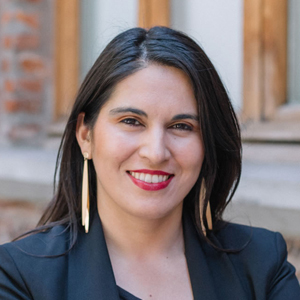 Magdalena Saldaña is an assistant professor in the School of Communications at Pontificia Universidad Católica de Chile, and a junior researcher at the Millennium Institute for Foundational Research on Data (IMFD). She holds a Bachelor’s degree in Journalism and a Master’s degree in Social Research, both from Universidad de Concepción, Chile, and a PhD in Journalism and Mass Communication from the University of Texas at Austin, USA. Her research interests include digital journalism, social media, political communication, and Latin American studies. Her work has been awarded by the Association for Education in Journalism and Mass Communication (AEJMC) and the Midwest Association for Public Opinion Research (MAPOR). In addition, she has received a number of important awards in recognition for academic achievement and excellence in journalism education. Magdalena will be part of the research panel “Digital Media and Democracy in the Americas” on Friday, April 12, 2019 at 3:45 p.m.